This jersey not only looks the business, it improves on field performance as well with its Vapodri+ moisture wicking fabric technology. 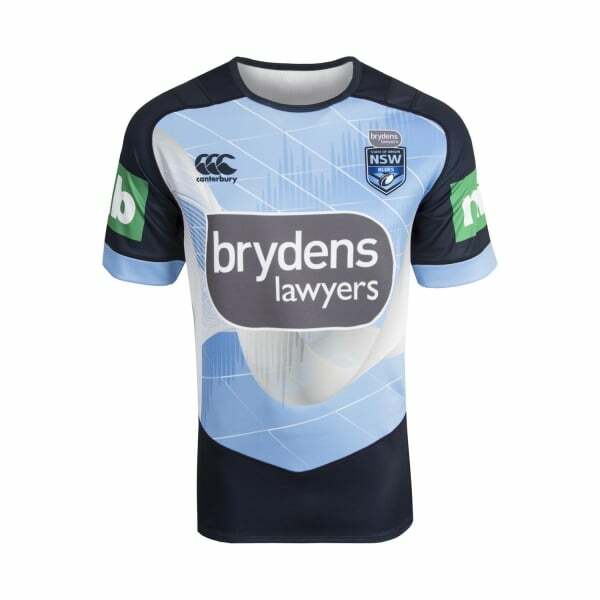 Show your support and take your training to the next level in this quality garment from our NSW State of Origin Team Replica 2018 collection. A classic inclusion in Canterbury’s NSW State of Origin Team Replica 2018 collection, the Vapodri+ Evo Pro S/S Training Jersey will take your training to a whole new level. This quality jersey made from 100% Polyester mechanical stretch interlock not only shows everyone you’re a diehard Blues supporter, but it also boosts on-field performance with its Vapodri+ fabric technology, which wicks moisture away from the skin and keeps you cooler and drier for longer. Lift your game and show your support in this authentic garment complete with team and sponsor logos, instore and online now while stocks last at Canterbury.